Please leave your comments here. We like to know how we are doing! "We were very impressed with this beautiful flat very cleanly presented and tastefully furnished. We found it very difficult to pull oursleves away from the view in the morning be it nautical or animal, always somehting going on. Thank you so much." "Annoying to find this place after nearly 60 years self catering, almost always in Scotland. This is gold standard self catering. Spent hours looking at sea, hills and shipping ................Good place, good landlady, best Scotland stayin 60 years. Thanks." "Lovely stay thank you! Walking, looking for fossils, watching dolphins from Ecoventures rib and from a bench up on the South Sutor. And any spare moment ....well, just looking out of the wonderful window at all times of day and night! Weather great too!" 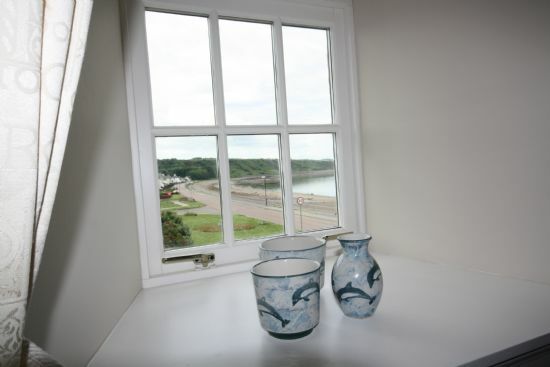 "Lovely cosy flat - great views, very well equipped. Sutors Creek and Coupers Creek highly recommended as is the Cormarty Bakery and the Cheese Shop!" "Lovely week in Cromarty, it always feels like our second home from the moment we arrive." "We have had a fantastic time in Cromarty and around the Highlands. Its our third visit and won't be the last. Highlights - Ecoventures, Rosemarkie Beach and Cafe, the views from various places alng the coast and the wildlife spotted along the way. Don't leave without trying the bakery!." "Absolutely fantastic apartment, enjoyed ourselves all week - couldnt want for anything!! Would defintitely recommend to friends and family to use." "A welcome 4th return to Harbour View. Had a restfull three days made all the more enjoyable by a great dolphin display at Chanory Point." "A wonderful week in glorious sunny weather. The view from the window made TV redundant. Lovely walks and we managed to see the dolphins. Harbour View was a most welcoming and pleasant place to stay. Thank you for the binoclulars and all the info provided." "Lovely apartment - great picture window!! Ideal positin for us as our family live in Cromarty. Enjoyed our stay and will be back." "A delightful flat with fantastic views. All the material we need for walks etc in the area." "Does it get any better that this? A look out tower to view Coastal Sutherland at its best. Thanks for the memories." "Fabulous week with some wonderful skies. The big window allows maximum enjoyment of the views and the special light in this area. Very comfortable and will be back". "A year on, Cromarty and the flat lived up to memories. What could be better than one of those pizzas eaten at that window?" "This is our first visit to Cromarty so our first visit to Harbour View. Weve had a great time. It is such a lovely apartment with fabulous view. Loved watching the cruise ships sail past and fishing boats come in early morning. Fab beach. Sea is also lovely and clear and perfect for finding crabs. We look forward to returning." Thanks very much for your review Jennifer. Delighted to hear you enjoyed your stay. Lovely that you saw your dolphin. Lovely comfortable flat with great view of everything going on in the harbour. Charming village and the local people are very friendly. Hope to be back next year. We had a marvellous winter's stay at 5 The Byre. It was a cosy apartment to come back to after a day out. The big picture window was a real bonus to watch all the comings and goings in the harbour and the Firth. The accommodation had everything we needed and was ample room for 4 of us. The beds were comfortable and the linen crisp. Everywhere was clean and was well furnished. The only thing we couldn't find was a pair of kitchen scissors! We would definitely stay here again when visiting Cromarty. Thank you very much. Thank you Janice for a terrific week in your holiday flat! Great wee place, spotlessly clean and very comfortable. The only downside was that our week was far too short! Hope to come back next year.